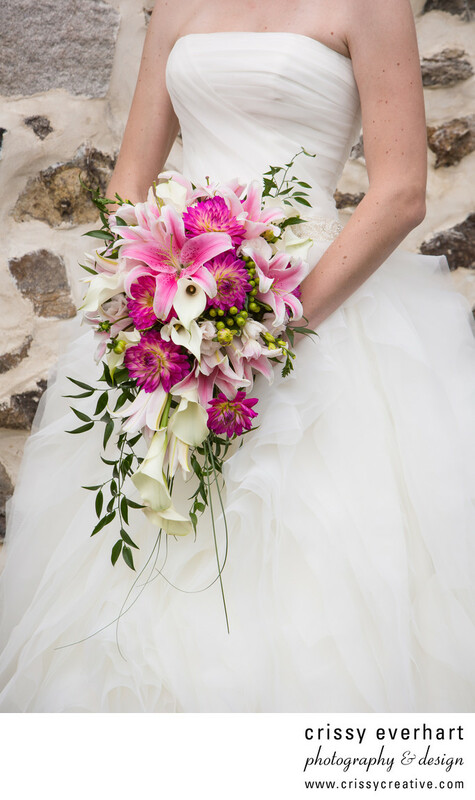 A stunning summer bouquet of lilies with some greens and other flowers against a stunning wedding dress purchased at The Wedding Pavilion Van Cleve in Paoli, PA. They have amazing bridal attire and a fabulous staff! Location: 1604 Lancaster Ave, Paoli, PA 19301.